The collider component adds collision geometry to the entity. 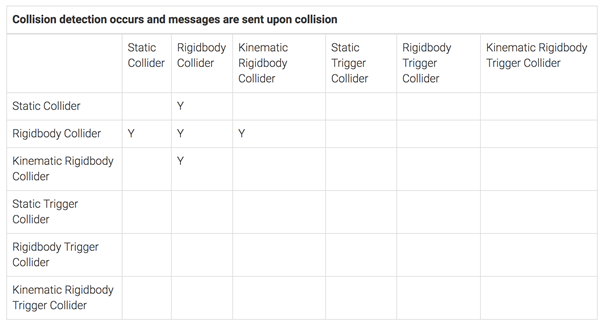 If used together with a rigid body component, you can create a dynamic, colliding entity. 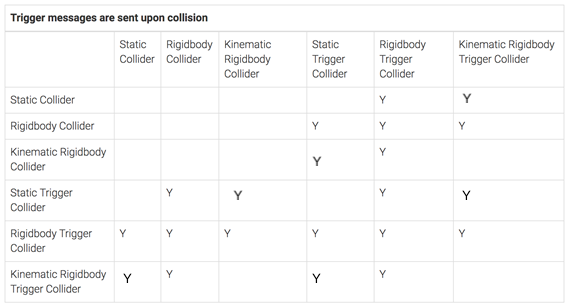 If the collider doesn't have any rigid body component, it becomes a static collision geometry in the physics world. We call this a static collider. If the entity with a collider or any of its parents has a dynamic rigid body component, it will turn into a dynamic collider. If the entity with a collider or any of its parents has a kinematic rigid body component, it will turn into a kinematic collider. The collider shapes are rendered with a green wireframe. Shape – The shape of the collider. Friction – 0 Means no friction. The final friction (and restitution) value used in a collision is computed using multiplication. For example, a sphere with friction=0.5 that collides with a plane with friction=0.5 will get a friction value of 0.25. Restitution – How much the collider should bounce. 0 is no bounce and 1 is maximum bounce. If you set restitution to a number larger than one, it gains more and more energy for each bounce. Half extents – The collider's half extents on the X, Y, and Z axises.